We respect your privacy and promise to never share, trade, sell, deliver, reveal, publicize, or market your email address in any way, shape, or form. Opus web site collects no personally identifying information about individuals except when specifically and knowingly provided by such individuals. 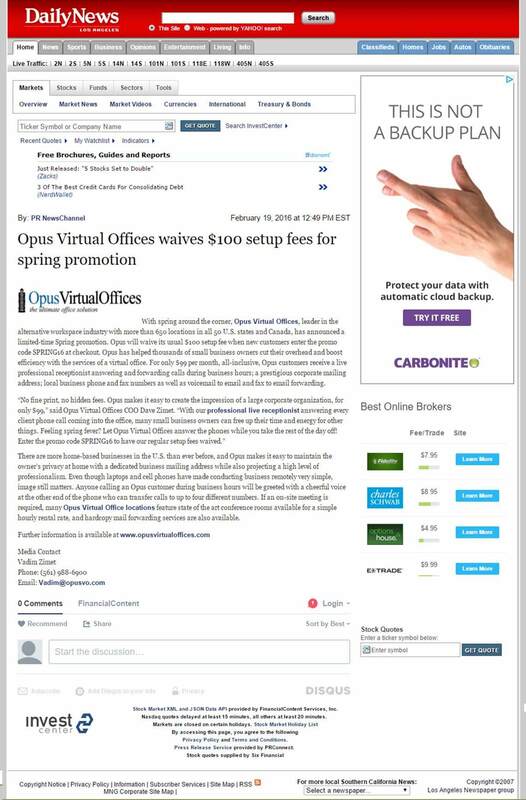 In addition, Opus Virtual Offices site may place a “cookie” in the browser files of a user’s computer. 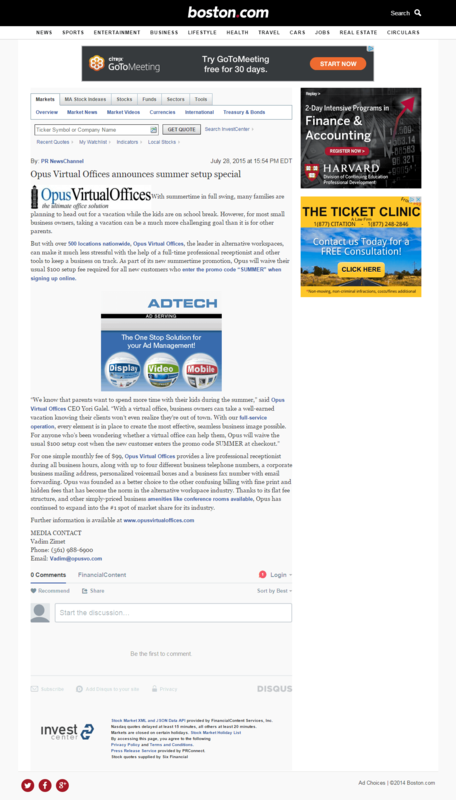 The cookie itself does not contain any personally identifying information although it will enable the site to relate a user’s use of the site to information that the user has specifically and knowingly provided to Opus Virtual Offices. 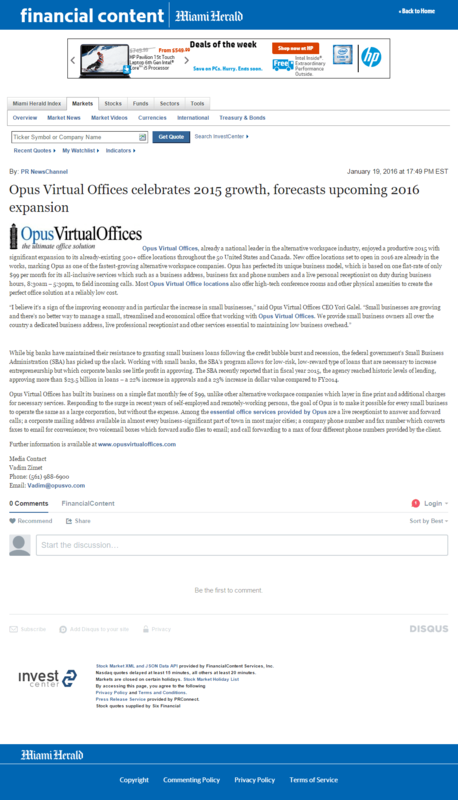 Opus Virtual Office, may also use such information for marketing and promotional purposes.